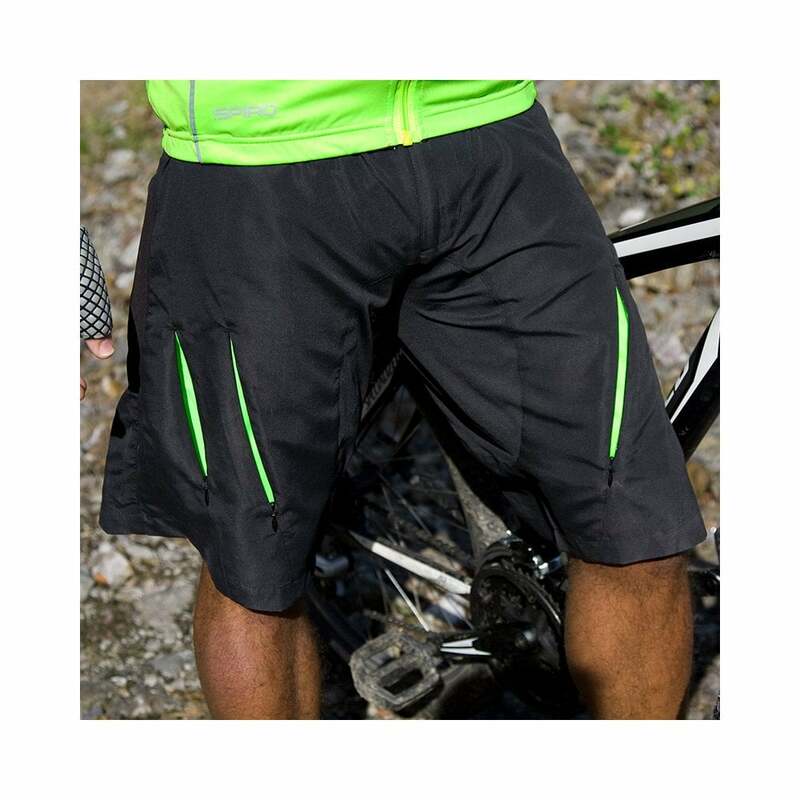 Spiro Bike wear Off Road Shorts these are perfect for our male cyclists as they offer comfort and support. They are made from 100% nylon taslan and have some great features, including mesh zipped air vents, shaped leg panels, under panelling for comfort and a cool dry inner pad. There is one colour choice, black and lime.